So, the hip replacement happened almost three weeks ago. I had hoped that when I took my first step post operatively I would not have pain. So many people told me that would happen. I should have known better. Of course there is still pain. It is too soon for me to know the nature of it. Is it fibromyalgia? The scar? The hip itself? I thought I was the expert of my own body but it has now had an assault of a different nature. I believe I will have a handle on it in a few more weeks. For now, I am trying to live every day in a slower manner. At first I rushed through walking, stopped using the walker too soon and developed shin splints. It is my misfortune I am not patient and calm. I have learned even more about this highly motivated personality of mine. 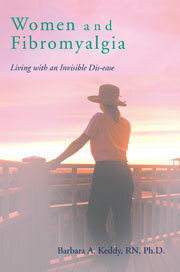 Are all of us with fibromyalgia this energetic type who suffers because we rush through life? It is a beautiful summer day with a slight breeze. Time to heal. This entry was posted in Fibromyalgia, fibromyalgia and hip surgery, pain, slowing down on July 12, 2016 by Barbara Keddy.